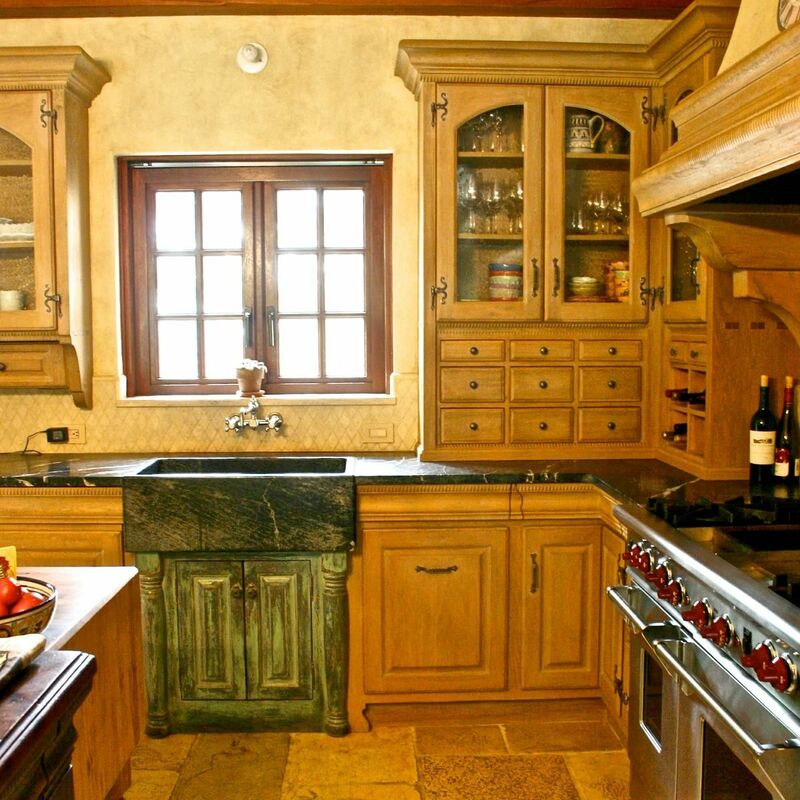 We designed this kitchen for a stone, Tudor style house, on top of a pine forested mountain. 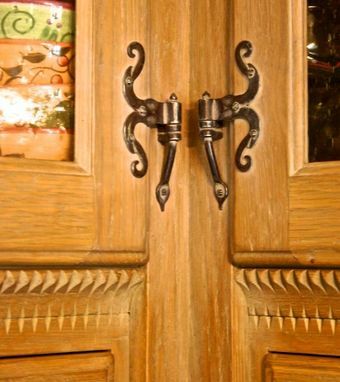 We wanted to give this job a hand dressed look, which included hand wrought hardware and special finishes that we applied ourselves. 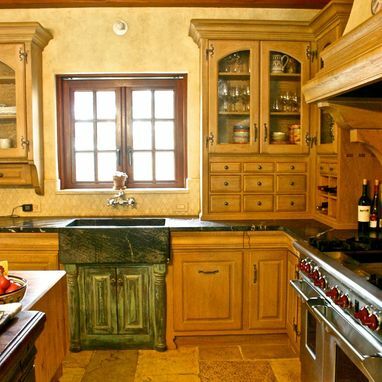 One of our signature features is the finger-pull drawer front, incorporated into an apron, which you can see on the island and perimeter cabinets. 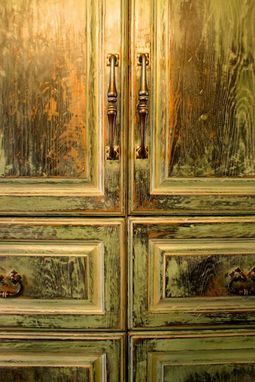 In the corner, the drawer pulls out diagonally, with a V shaped front. 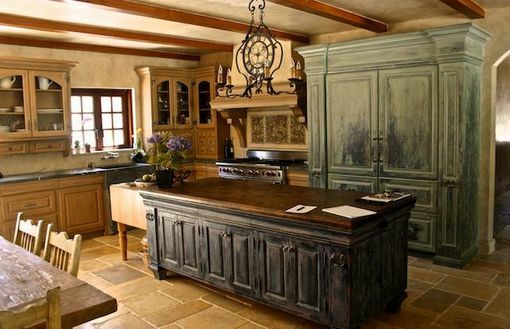 The cabinets are white oak, the island top is sapele, the counter tops are soapstone, and the flooring is salvaged limestone paving stones from Israel. Our profile photo is a detail of the island.